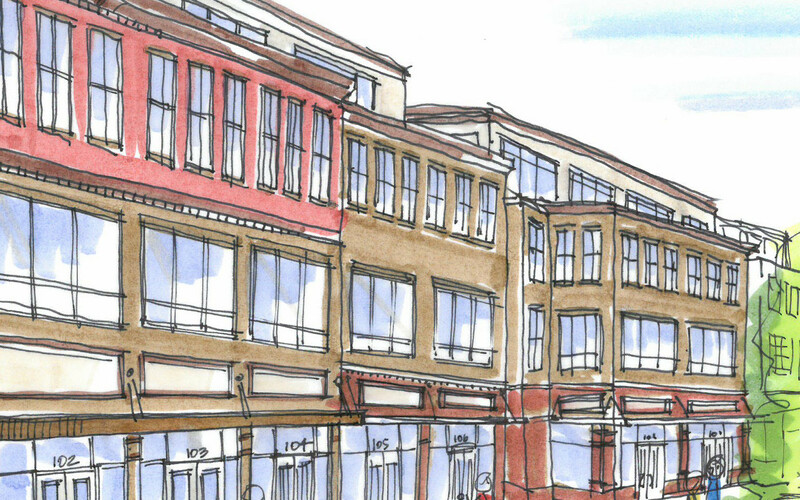 Nolensville Market Square will be exactly what you imagine a new downtown to be – a central location where town folk can work, shop, relax, play and live. Funded and built by community members to complement Nolensville’s beautiful new multi-million-dollar town hall, Nolensville Market Square is designed as a pedestrian-friendly, artfully crafted, community-conscious, multi-faceted development that honors the traditions of Nolensville’s storied past, while offering top-drawer amenities that aren’t typically available in Small Town, USA. Nolensville Market Square is a place to gather for community celebrations and family fun; where local folks can shop, work and live in a healthy, enduring and beautifully crafted environment. Nolensville residents can look forward to their new downtown having a conveniently located specialty stores. How cool would it be to meet friends for a cup of coffee and dessert at that cute little bistro on the corner, where you could sit outside and enjoy the fantastic Tennessee weather? Or maybe find just the right fashion accessory for your new outfit at one of the great new boutiques in town? And just how much fun would the kids have, playing in the open space while you enjoy the ambiance of Nolensville’s new downtown? Nolensville Market Square. It’s new. It’s the kind of town square that Nolensville deserves.